Happy holidays! 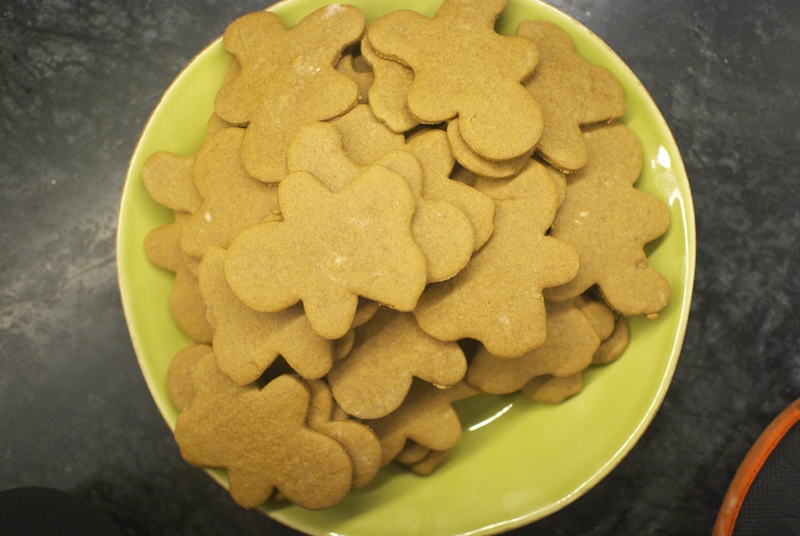 In case you’ve been looking for a last minute treat to whip up for Christmas, I thought I’d share this recipe for Gingerbread Men from Taste of Home. I made these with a family friend (and fellow baker) last weekend, along with two other cookie recipes (Chocolate Mint cookies and Peanut Butter Blossoms, for those who are wondering). 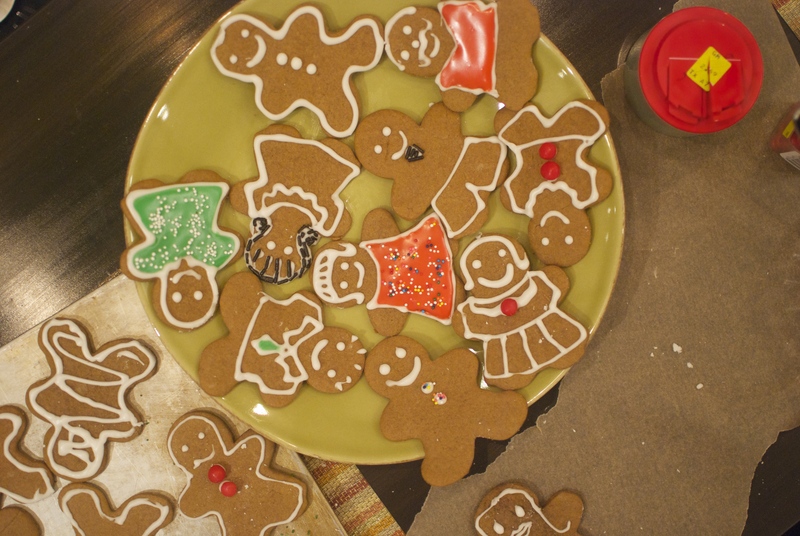 These, like roll-out sugar cookies, are fun to make and cut, but they’re even more fun to decorate! Let’s just say we got very creative with some of ours; you’ll see what I mean in a moment. This won’t be a step-by-step recipe, mostly because of the fact that I was in the midst of making two other batches of cookies while assembling these. And maybe because of the fact that I had flour and cocoa and cinnamon ingrained into my hands throughout this process. But anyway, here’s the mountain of plain cookies we started with. 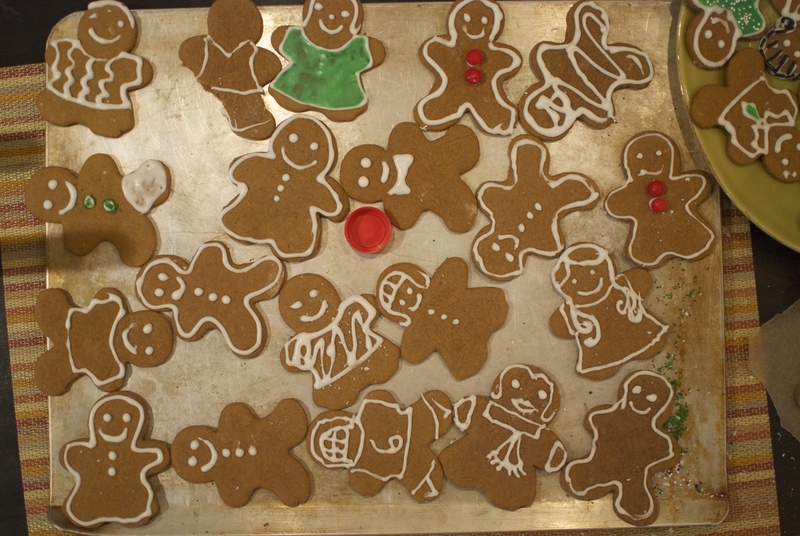 And here are the decorated ones! 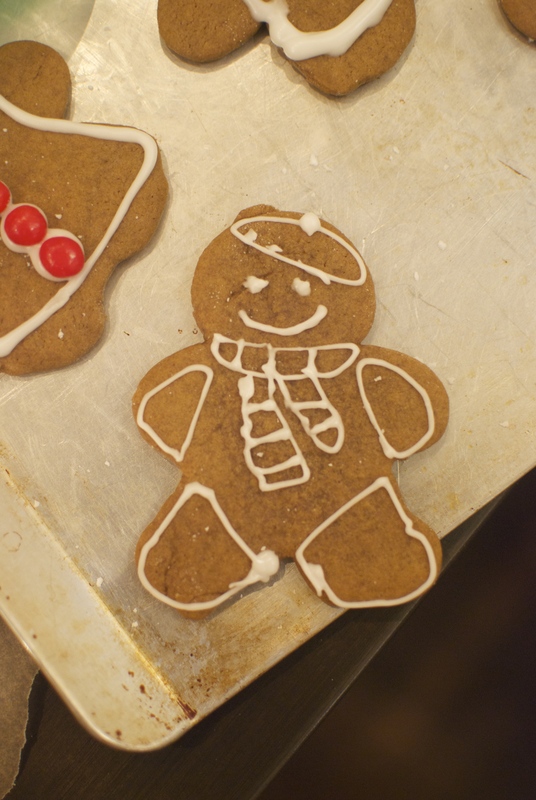 You might have noticed that the cookie with the green buttons on the left has a cast. We had to perform an emergency operation. 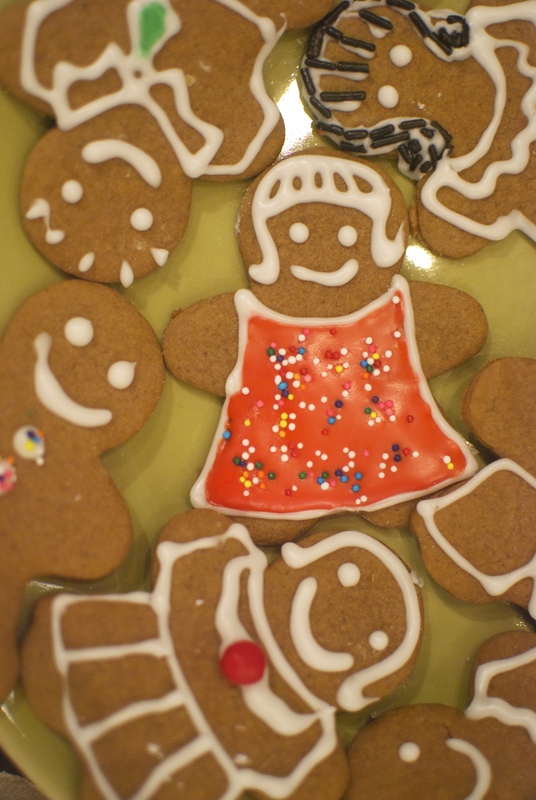 We were very proud of the one with the black hair, despite her lack of a mouth. The one with the red polka dot dress is my personal favorite. But this guy’s a close second! 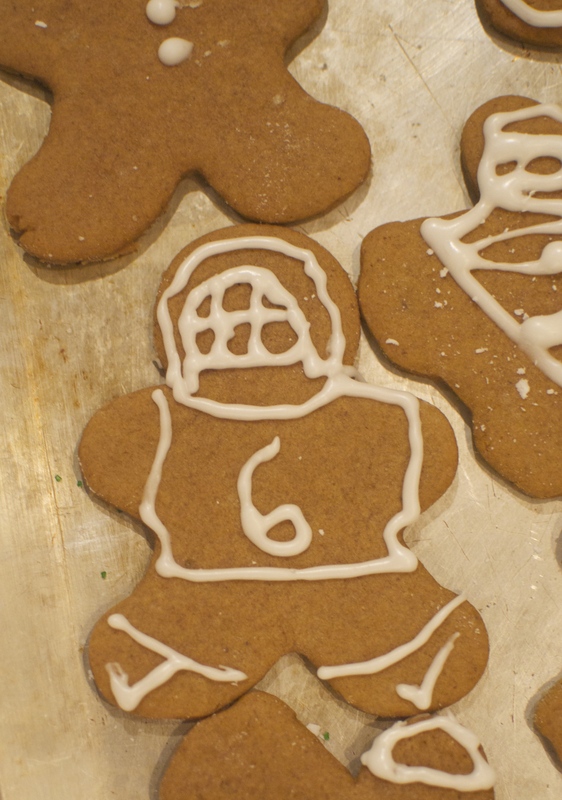 And of course, I had to make a football player for my brother. 1. Cream the butter and sugar in a large bowl until fluffy, then beat in the egg, water, and molasses. 2. In a separate bowl, stir together the flour, ginger, baking soda, salt, and spices. Mix this into the butter mixture. 3. Divide the dough in half, wrap each half in plastic wrap, and refrigerate 30 minutes to 1 hour, or until firm. 5. 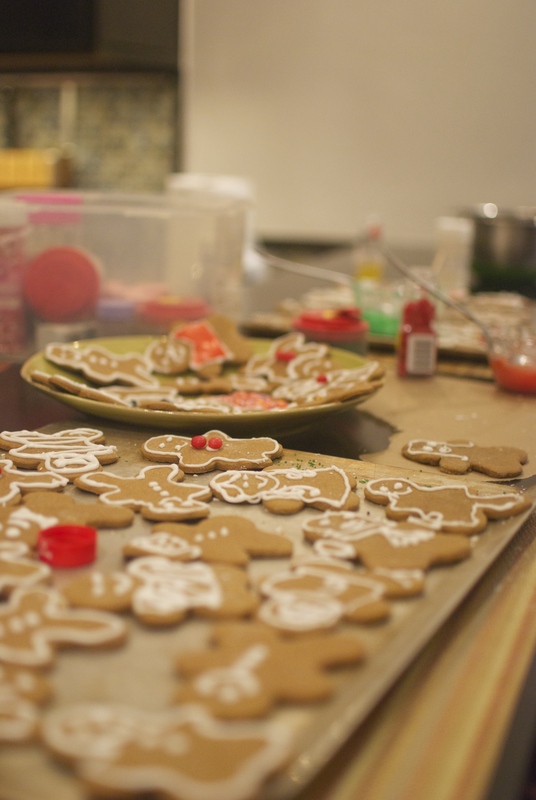 Roll out the dough on a floured surface to 1/8 of an inch thick and cut with cookie cutters. 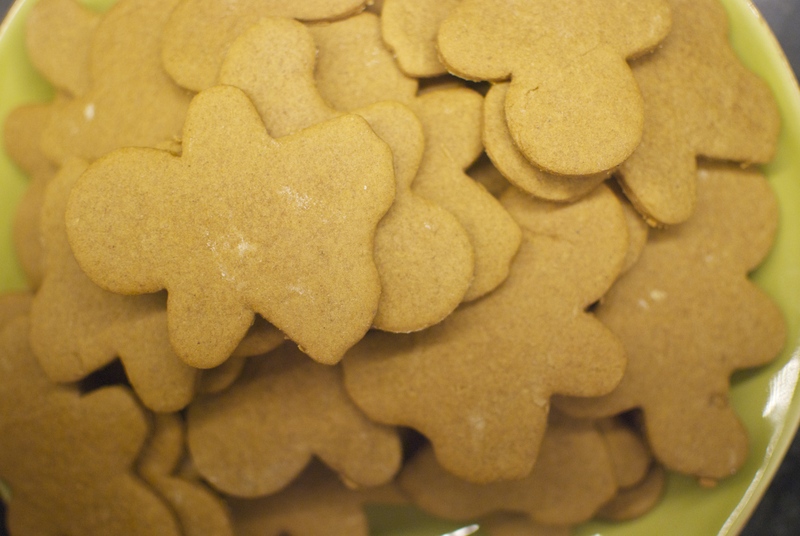 Place the cookies on a parchment lined baking sheet and bake for 8-10 minutes, or until the edges are relatively firm. Cool on wire racks and decorate with royal icing. Happy holidays and happy nibbling! Reblogged this on Someone's in the Kitchen.